Today’s society has become increasingly more reliant on technology with around 2.53 billion people owning smartphones in 2018, according to statistica.com. 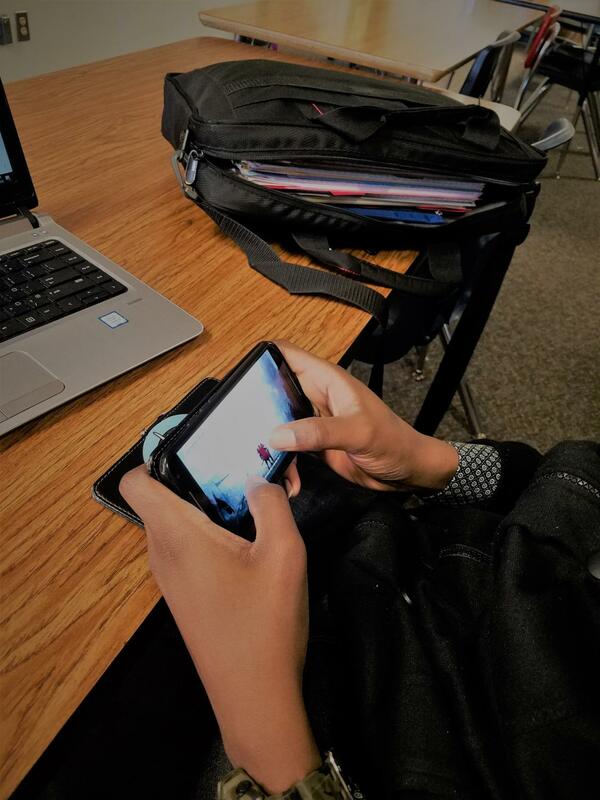 Although there are benefits of technology, there are also many negative effects that come from an overuse and abuse of computers and smartphones. Although technology is constantly improving, technology addiction is also on the rise. Although all ages can abuse technology, technology addiction is especially common among teens. Social media sites such as Instagram, Facebook and Snapchat are not only overused by teens but can also lead to depression and anxiety. Social media sites offer constant stimulation which can make teens feel dependent on technology. Video game addiction has also been on the rise in recent years with many young people spending hours upon hours playing and investing money into computer games. Video games have become such an issue that the World Health Organization now classifies gaming addiction as a mental health condition, according to a story reported on wsaw.com. There are many signs of technology addiction such as a compulsion to check the phone, feeling distant from family and friends and losing connection from the real world. “Like it’s cool that everybody can be connected anywhere around the world, but I feel like people waste a lot of time they could be using productively,” SPASH student Madison Paul said. Spending time with family and friends along with finding hobbies and clubs to participate in are all things that can be done in order to combat social media, video gaming and technology addiction. “I feel like the main issue, though, is more in terms of how we portray ourselves in social media. I think that’s a larger issue than the actual screens themselves,” SPASH student Julian Pollock said. “I think the issue is not with having this technology but with the people who are creating the technology, the people who are designing the websites, the people who are making money off these kids,” Pollock said. Although this may not seem like an issue to many, technology addiction is a very real and very threatening problem that can lead to many negative health concerns. Visiting a family member or friend or talking to a counselor or teacher are good ways to help prevent anxiety and depression caused by technology addiction. this is a very serious problem. I do fear that some people are addicted to tec and that they really do need to be helped to not addicted. I think this was a greatly written article. I was most surprised that a little over 2 billion people have smartphones. This is a great idea for the sport/wellness articles. Keep up the good work with your articles! I really like how you have quotes from the website you used, it makes it more factual. I feel that technology addition is a really big problem that today’s society needs to fix and I do agree with Pollock on how the issues is not having the technology, but it’s creator. Wow, I had no idea that technology addiction was this bad. I found it very interesting that technology addiction is now considered a mental health disorder. Great story. It was well written and had a lot of quotes. There was also some interesting facts along with quotes from the teachers and how it affects them as well. I didn’t know that many people were addicted to technology. I do agree with Julian; it is on the creators. They design their sites to be addicting, to bring people back. I agree 101.99% with this. I guess growing up with it is just a normal thing to spend 24 hours on technology. Good job Soren!!! Great article Soren! I didn’t know people can be addicted to video games. Hopefully am not. I feel as though as human beings we only look at the negative aspects of things and we tend to let one negative aspect ruin multiple good aspects. For example, throughout the day we could be having a great day but if one bad thing happens it will evidently turn negative. That is how I feel when we think about technology because we look at the negative aspects of technology far more than all the positive things technology brings. I do feel like tech addiction has risen over the years. A few decades ago teens our age barely even had electronics, now most teens can’t go an hour without their phone or another piece of technology. So, I do feel like tech addiction has risen dramatically over the past few years.